The search for big fun is just beginning in this all-new adventure from the hit TV show, Mickey's Great Clubhouse Hunt. Mickey and his pals are planning the best springtime party everand you're invited! But the festivities are put on hold when Mickeys magical clubhouse mysteriously breaks into pieces and disappears with Minnie, Donald, Goofy and Daisy inside! Mickey needs your help as he sets out on a great adventure to save his friends and put the clubhouse back together again. 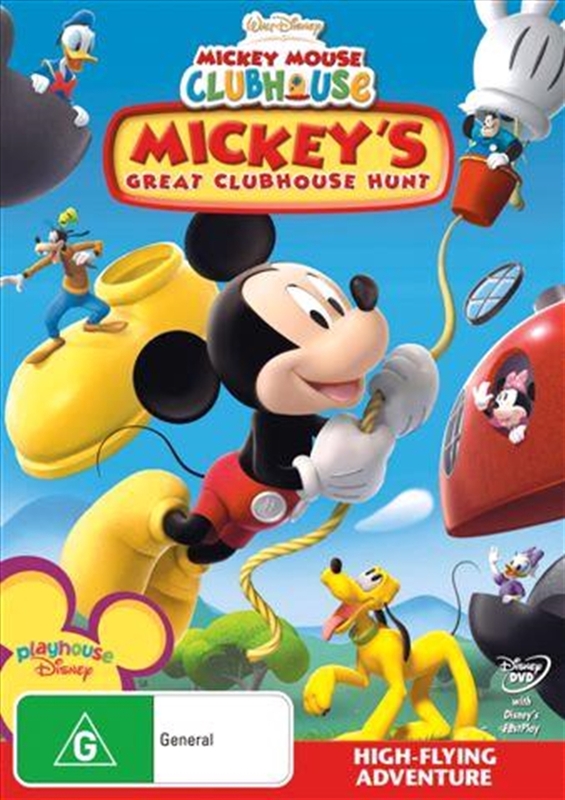 Filled with interactive fun and songs, Mickey's Great Clubhouse Hunt is an adventure you'll love again and again.